On the screen, we see a circle with center A. A cyclic quadrilateral CDEF is drawn and one side FE is produced. Move the points A, B, C, D, E and F and observe how the angles DEG and FCD change. 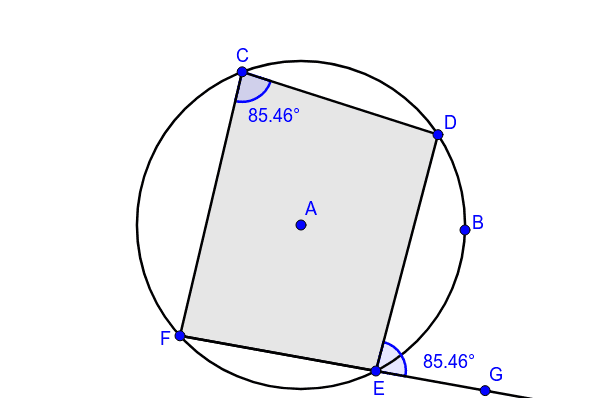 In all conditions on comparing the values of angles DEG and FCD, what do you observe?